For many years I’ve wanted to come to Cambodia, for one specific reason; Angkor Wat. The temples looked amazing and at around 17 I was determined to get here one day. The years have past, remarkably quickly, but finally I’ve made it. In this little vlog, I visit a few of the temples, and try my best to survive getting up at 4am and being a tourist for hours on end. Starting in Angkor Wat, with the sunrise tour, I really wasn’t expecting there to be so many people. It was like going to a concert rather than sightseeing. A quick tip: If you are going to do the sunrise tour, skip waiting with all the other tourists, when it’s light enough to walk around, go visit the main parts of the temple. It’s quieter and you’ll beat the mad rush! 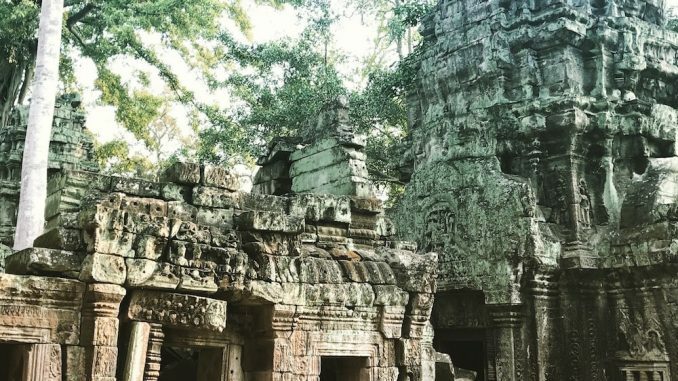 Yes, you can visit the Tomb Raider temple, the one from Angelina’s adventure in to the jungle. The only problem is, it’s filled with tourists and hard to even get a photo without someone else being in the shot. The other temples on the day were, Benteay Srei (The Lady Temple), Preah Khan, Angkor Thom, Bayon Temple. An awesome day out, even if it was remarkably tiring and ridiculously hot later in the day. All thanks to my Tuk Tuk driver, Phem – Angkor Private Tours – if you are heading this way, hit him up. Enjoy the video everyone, and be sure to subscribe to the channel. Just to make my day!